Background - “Wheel” is one of the more raw, atmospheric songs on Amen Breaks (out on July 7th via sonaBLAST! ), and one of the bands' first to feature a Roland CR-78 drum machine, their tribute to Roland’s Ikutaro Kakehashi. It also delves into the anxious existential theme that life can change in an instant, centered around frontman Shadwick Wilde’s quasi-phobia of car crashes (which he’s seen many of in his years of touring). “Wheel” follows Amen Breaks’ previously released stand-out single “Medicine”, a powerful track about crippling anxiety, depression, existential malaise, and society’s attitudes toward medication and addiction, along with “Funny Ways”, a song about criminality and the self-perpetuating prison-industrial complex. Both follow the album’s core themes that draw parallels with the cultural crossovers of the 1970's, a decade marred by division, political corruption, and terrorism… issues we can all relate to these days. Tastes Like Chicken - Bottle In My Hand. Background - With America’s dependency on alcohol and opioids at an alarming all-time high, few artists have dared to address the complicated issue. South Carolina’s Tastes Like Chickenhave bravely attempted to fill that void with the release of their poignant and soulful new single “Bottle in My Hand. 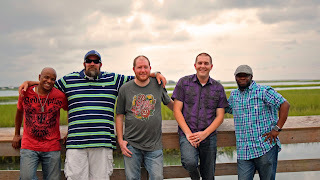 Recently voted Best Band in the Pee Dee by the readers of Florence’s The Morning News, “Bottle in My Hand” is proof that Tastes Like Chicken know firsthand the struggles associated with the destructive cycle of dependency. GREY \\ WATER - Jimmy. Background - GREY \\ WATER is a culmination of close friends blending their influences to create one distinct sound. 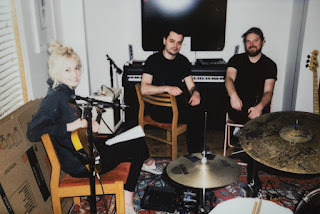 As a band they wanted to create a song that challenged them to maintained their DIY spirit, while recording new material at a studio for the first time. To delve into a variety of creative processes. Lead singer Charlotte Grace Victoria's thoughts on the song: "I feel as though the story of Jimmy and his significant other reflects the same idea. On the surface, there is a couple in the midst of honeymoon love, yet along with that, there is an undertone of the pressure to change and evolve into something new." Facebook here. Some brisk and bright guitar lead music introduces 'Jimmy'. When the beautiful vocals join in, the songs emotional feel deepens, and the melodic hooks really dig in. 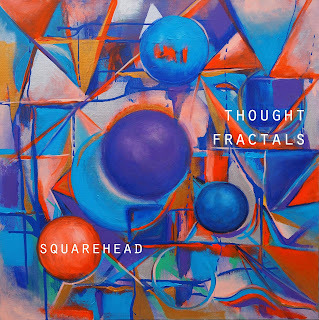 Squarehead - Perties (Thought Fractals EP). Background - Squarehead is the stage name of Melbourne music producer Tobi Yamamoto. After playing bass guitar for various Australian independent artists, including 2010 Triple J Unearthed winners Blud, Tobi ventured into the world of production with Squarehead in 2011. Since releasing their 2013 debut release ‘Fables’, Squarehead have performed along side many of Melbourne's most creative recent exports such as ALTA, Andras Fox, Halcyon Drive, Rat & Co, Willow Beats and Yeo; including billing at the boutique festivals Inca Roads, Castle Music Festival and Paradise Music Festival. 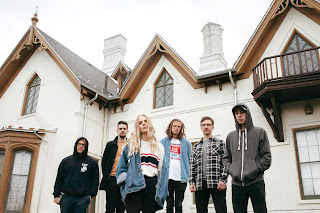 Their long awaited subsequent release ‘Two-Track’ in 2015 received much attention from local radio stations such as PBS, SYN, and RRR, as well as platforms like Soundcloud, where it totalled over 19 thousand listens. Guided by Voices - Just To Show You. 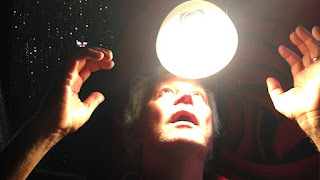 Background - Guided by Voices new album How Do You Spell Heaven is set for release on 11 August 2017. Guided By Voices is on a roll. You could argue, but please don't because I have a headache, that GBV is never not on a roll, that Robert Pollard's output plows past the word "prolific" like prolific is standing still in a snowbank; and that's true, but this new version of the band (Doug Gillard, Bobby Bare Jr, Mark Shue, Kevin March) has given Pollard new tools to complement his song-hammer. Thus, ergo, quod erat demonstrandum: roll. Men I Trust - You Deserve This. Background from the band - We recorded You Deserve This last summer. We weren’t supposed to do any music that afternoon, we were really chilled out and in a great mood. We were playing with some rhythms and started having fun with detuned and off-phase synths. We recorded the guitars and the final vocals last month following our initial idea: it’s all about relaxing, wishing good to oneself and others and the nostalgic joy of feeling part of the universe. 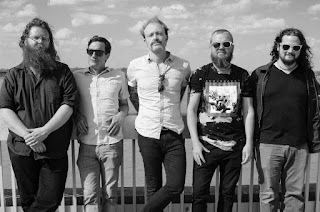 Founded in 2014, Men I Trust, is an indie-dance band from Montreal (Canada) who produces its own music videos. “We love smooth sounds, calm melodies and simple rhythms that relax, but make your right foot tap and your chin bounce on the beats. We are all in DYI: we record, mix, master and shoot our music videos ourselves, and we’re loving it!” tumblr here, Facebook here.